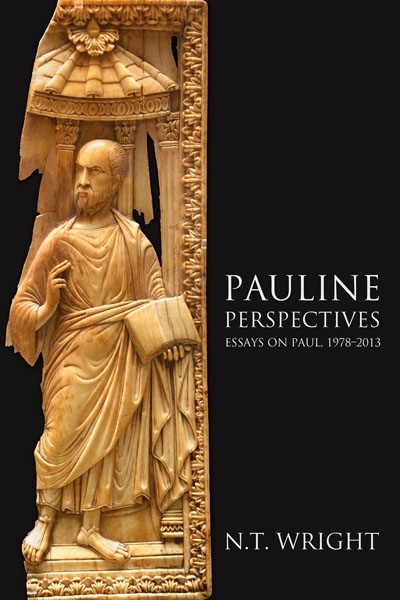 A group Protestant Bible scholars and Theologians have, within the last 30 years or so, developed what has come to be known as the New Perspective school on the writings of St. Paul. In essence, the New Perspective constitutes a radical departure from the Reformed and especially the Lutheran traditions with respect to the relationship between works of the law, faith, grace, and atonement. 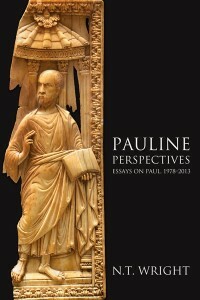 The motivation for this new understanding of Paul’s writings can be traced back to scholars such as N.T. Wright, E.P. Sanders and others who explicitly studied Paul in his Jewish context as he evangelized within the Hellenistic culture outside of Jerusalem. In a nutshell, here is the New Perspective from Bishop N.T. Wright’s point of view based on my reading of his new book, “Justification: God’s Plan and Paul’s Vision“. NOTE: I am not arguing for or against this view but merely describing what I understand its major findings to be. I hope I’m not doing too much damage to Bishop Wright’s book specifically and the New Perspective scholars generally. If so, I welcome correction. New Perspective scholars understand “works of the law” to be the badge of covenant membership. In their view, Paul’s writings constitute an argument for covenantal membership based on the relative merits of the cultic customs of the ancient Israelite versus the ancient Greeks. Paul is seen as objecting to the traditional Jewish view that circumcision, dietary laws, and observance of other special customs make one better off before God. To the contrary, Paul argues that only through adoption of the God’s moral and ethical teachings (works of the law), not the cultic teachings of the Torah, does one gain entry into the covenant. But what of the cultic codes? Bishop Wright has little say here, but others (E.P. Sanders) suggest that these rules are seen as necessary to distinguish a specific people within the covenant, i.e., that subset of mankind “chosen” to be exemplars of the covenant people — the Jews. . In other words, as members of God’s covenant all of us are required to adhere to the moral and ethical demands inherent in doing God’s will, but the Jews have a special, higher obligation to live a Holy life defined by cultic demands. Old perspective scholars interpret the Greek word pistis (belief, faith) as a trust in Christ for salvation (trust = faith in this calculus). New Perspective scholars quote more recent studies of pistis suggesting that its primary and most common meaning was faithfulness, i.e., loyalty or obedience to the requirements of a personal relationship especially when the relationship is between people of different status levels (e.g., servant/slave being faithful/loyal to his king/master). New Perspective scholars argue that to “faithfully” abide by God’s will is quite different to the traditional Protestant understanding we need to have “faith” that God exists and will keep His word. The traditional Protestant (esp Reformed and Lutheran) translates ‘grace’ from the Greek word charis. This view understands charis to imply that there is no need for human effort to achieve salvation because God is the controlling factor. However New Perspective scholars point out that those who study ancient Greek culture argue that ‘favor’ is a better translation, i.e., the word traditionally refers to “doing a favor”. In the Hellenistic societies of Paul’s day, they would have understood charis to imply the expectation that such favors be returned in kind, and this semi-formal system of favors acted like loans to be repaid. The New Perspective scholars argue, therefore, that when Paul speaks of how God did us a ‘favor‘ by sending Jesus, he is saying that while God took the initiative, His favor does not imply a lack of human effort is no longer required for salvation. Rightly understood, God’s charis suggests that Christians have an obligation to repay the favor God has done for them. However, the repayment God demands is that the Christian must become and maintain membership in His covenant (see above for requirements to enter and remain in covenant relationship with God). Acknowledgement and confession of sin. Repentance (changing one’s heart and behavior). Restoration (setting the wrong aright, e.g., paying back something you stole). As I understand Bishop Wright, he argues that Paul sees Israel as representative of humanity and taking onto itself the sinfulness of humanity through history. Christ as Messiah is, in turn, representative of humanity and so focuses the sins of humanity on himself on the cross. Wright’s view is thus a ‘historicized’ form of penal substitution (aka substitutionary atonement), in which the death and resurrection of Christ replaces the need for atonement and sacrifice in the process of obtaining divine forgiveness (step 3, above). Finally, there is a whole website dedicated to the New Perspective.